Rocktime Social Blog: Did you Google or did you DuckDuckGo? Did you Google or did you DuckDuckGo? Search Engine Land reported on Tuesday last week that the upstart search engine 'DuckDuckGo', which has the USP (Unique Selling Point) of protecting its users’ privacy, hit a new milestone on Monday as searches for the website hit 2 million direct searches. A huge growth spurred by New Media advertising and most probably because of the recent PRISIM scandal which questions how Google, Bing and Yahoo etc are sharing their data with Government agencies. “Search anonymously. Find instantly. 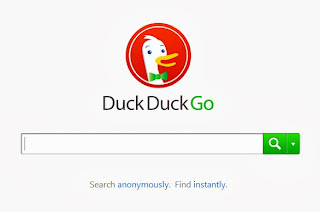 DuckDuckGo is a search engine that does not track you and, has more instant answers and less spam/clutter”. 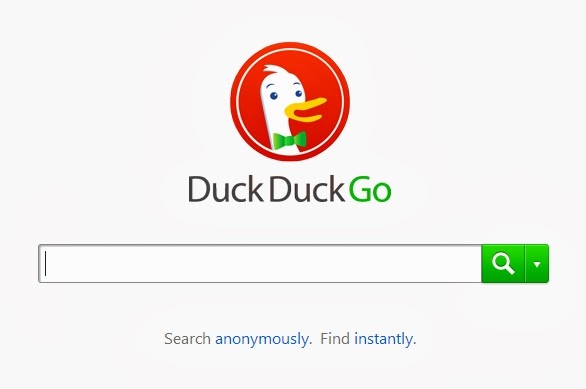 Could DuckDuckGo be a threat to the three main search engines, well given an appropriate marketing budget, we certainly think it has potential from a ‘search experience’ point of view (less clutter). Search Engine Land conducted a review of keyphrase placement here: and it appears to be doing a good job. Read the comments on the review, have a go with the search engine and decide for yourself. Will you make the jump to DuckDuckGo or will you find it hard to break the ‘To Google’ habit? Don’t forget if your website, product, brand, service needs help being found in search engines please do get in touch with our Sales team, to discuss your Search Engine Marketing requirements further.